Read the article in Forbes magazine. Diversity and empowerment: two words that come to mind when attempting to summarize this year’s 30 Under 30 Asia list. In its second year, the Asia list features 300 impressive young entrepreneurs — 30 in each of the 10 categories — from all walks of life, pushing the boundaries of innovation. I mention diversity because the list is representative of this huge region geographically. From China (76 honorees) to India (53 honorees) and Southeast Asia to Australia (29 honorees), Uzbekistan (1 honoree) and Bhutan (1 honoree), there are 24 countries represented and over 30 nationalities in total — including young expats who have flocked to the region to help fuel its growth. When it comes to empowerment, the list doesn’t disappoint either. We celebrate the achievements of a number of talented women, some of whom have actually risked their lives for what they believe in. We include Malaysian entrepreneurs like Neelofa, 28, and Vivy Yusof, 29, who have launched successful businesses and are shattering stereotypes about Muslim women. We feature Chinese swimmer Fu Yuanhui, 20, who became a sensation after discussing her period live on TV — often a taboo subject. Other women making their mark are China’s first supermodel Liu Wen, 29, Paradise Sorouri, 27, an Afghani rapper who endured death threats for her music and activism, and Hong Kong’s Chan Yuenting, 28, who became the first female soccer coach to win a top flight men’s championship. Elsewhere, it was fascinating to see how many of these millennials are using technology to disrupt their industries, empower their communities and overcome cultural barriers. They include entrepreneurs like Kavin Bhati Mittal, 29, whose messaging app hike, now boasts over 100 million users and rivals Whatsapp in India, and Australian duo Josiah Humphrey and Mark McDonald — 26 and 25 respectively — who cofounded Appster, a platform that allows companies to build their own apps. It has grown into a $19 million company in five years. Other stars include fish farmer-turned-entrepreneur and founder of eFishery, Gibran Huzaifah, 27, who by using smart feeding technologies, is revolutionizing the relatively untapped $5.4 billion-valued Indonesian aquaculture market, and Japan’s Yuki Shimahara, 29, who is aiming to help doctors accurately interpret and catalogue medical imaging by incorporating AI technologies into his cloud-based platform, LPixel. Social issues are not forgotten on this list either. This year’s list of social entrepreneurs includes passionate young individuals helping to solve the region’s biggest problems. Cambodian entrepreneur Daroath Phav, 28, is one of them. 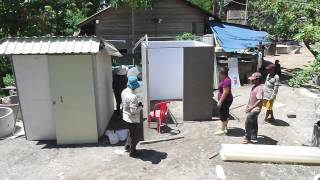 By using his business skills and implementing marketing strategies to encourage more rural Cambodians to use toilets (only 25% of those had access to toilets in 2010), Phav and his team were able to push rural sanitation coverage in the country from 25% to nearly 50% in five years. Also making the list is Nirary Dacho, 29, an Australia-based Syrian refugee who together with his cofounder Anna Robson, 30, is helping other skilled refugees find jobs in their new-found home by connecting them with employers via Refugee Talent. With 85% of refugees remaining unemployed in the first five years of their arrival, these young entrepreneurs are on a mission to change that. 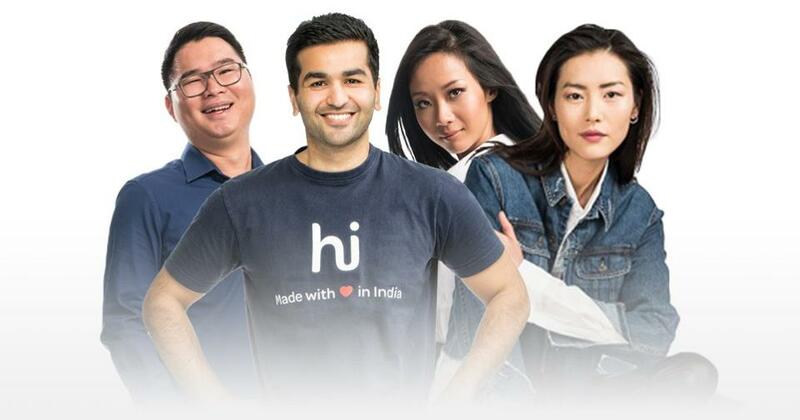 The 30 Under 30 Asia list took almost six months to put together. In addition to receiving thousands of nominations online, we tasked our dozen correspondents and researchers from every corner of the region to find the best of the best young entrepreneurs making waves in their respective industries. Our in-house team then sifted through the nominations and enlisted the help of 30 judges — legends in their fields — to help pick the final 300. Judges on this year’s list include shoe designer Jimmy Choo and chef George Calombaris for The Arts, rugby player Sonny Bill Williams and Malaysian singer and songwriter Yuna for Entertainment & Sports, Hiroshi Mikitani of Rakuten for Retail and E-commerce, Misfit founder Sonny Vu for Healthcare & Science, Didi Chuxing’s CEO Jean Liu for Consumer Technology, Indian philanthropist Vineet Nayar and Solina Chau, Director of Li Ka-shing Foundation for Social Entrepreneurs, and Kaifu Lee for Finance & Venture Capital.